These Apache dipper gourds are the perfect gourd for rattles, birdhouses, and painting. They have bulbs between 6-7″. 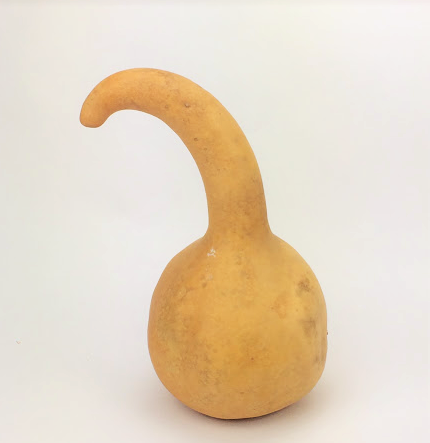 The total height of these gourds range between 12-14″ and the total length of the gourd following along the curve is around 20″.